There was a time, not so long ago, when we were being told that the tablet was the device of the future. Analysts were forecasting sales of 375 million come 2016 but it seems they’ll be left eating their words. 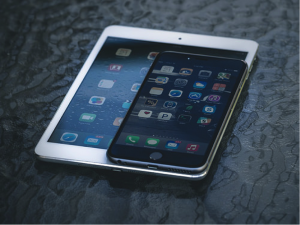 The tablet sector recently saw its first drop in sales, with tech consultancy Canalys reporting a 12% decrease over the final three months of 2014, compared to the same period in 2013. Market leader Apple apparently sold 15% fewer iPads in 2014 compared to 2013 and Gartner is now reporting the sector’s growth will be limited to just 259 million next year. Despite tablets initially soaring in popularity, it seems that consumers are still very much attached to their PCs. What’s behind the drop in tablet sales? 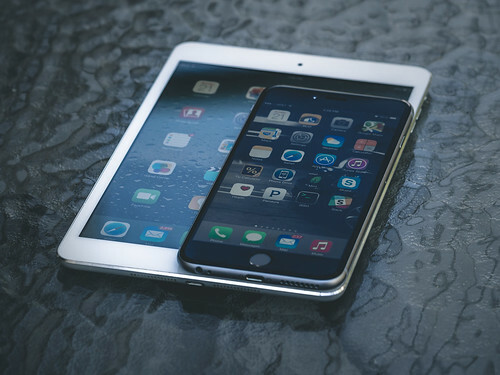 Many people are speculating that because the initial growth in tablet sales was steeper than for smartphones, it was believed that tablets would do much better than they have. Unfortunately this hasn’t been the case, with many consumers reluctant to buy something that offers the same functionality as their smartphones. Any bigger and smartphones will soon be the size of tablets! Consumers that did buy tablets when they first came out probably feel very little need to upgrade. The fact that phones are getting bigger and bigger (take a look at the iPhone 6 plus for example) and you can see why tablets are becoming far less appealing. Manufacturers also seem to be focusing far more on their smartphone sales than tablets, as that’s what the money’s in. Companies like LG, Samsung and Sony all sell their smartphones for a much higher price than their tablets, which gives them reason to limit their marketing spend on the latter. If you think about it, many of the features that entice consumers to buy new smartphones, such as better cameras, fingerprint sensors, touch and pay facilities and extended battery life, are pretty much irrelevant to the tablet. Seeing as most consumers use their tablets indoors, they don’t need to bother upgrading to something bigger, better and more powerful. Whilst Microsoft, Apple and Google have all tried to convince consumers that their latest tablet models can be used to create spreadsheets, word documents and make music, the majority of people just want them to consume media instead. Even with a keyboard attachment, tablets still aren’t going to be users’ number one choice for creating a word document or configuring a spreadsheet, making these features irrelevant. Is there still a place for tablets? Whilst the future of tablet sales may not look as promising as once thought, that’s not to say they’re going to become extinct. In fact, many companies have been introducing them into the workplace and making use of business related apps. Tablets make perfect sense for employees working out in the field, whether they are updating the tracking for parcel deliveries or being used as a point of sale. Education is another sector that is exploring the benefits of tablets. Many schools have introduced tablets into the classroom environment as a way of exciting children about learning and encouraging collaborative working. Tablets also have the benefit of being more convenient than PCs. Providing companies have responsive websites, consumers often find it much easier to shop online and order parcels using their tablet devices. It is believed that the launch of Windows 10 later this year may drive demand, as the new operating system has been designed with both PCs and tablets in mind; however it could still be argued that the days of rapid growth are well and truly over. The market is saturated and consumers are yet again waiting for the next big thing to impress them.